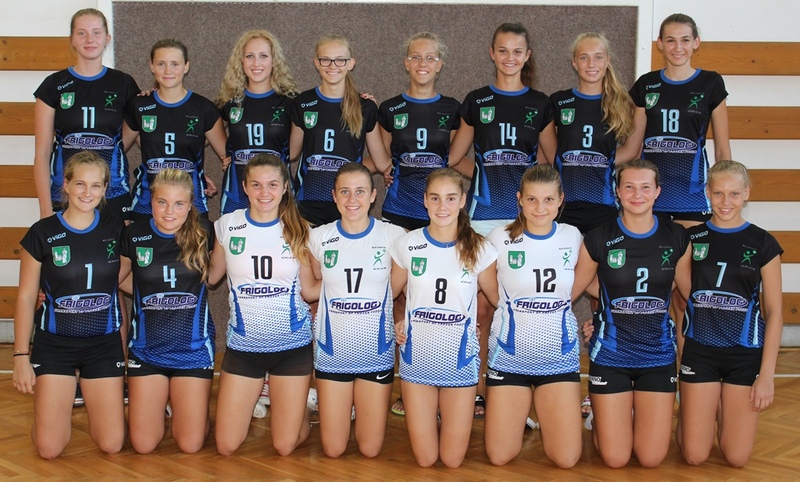 Home/U-15/We are bronze in U-15 category ! Volleybalists of MVK were presented at the peak of the season. Our target was to take part in semifinal matches. Right from the first match we started to fulfill these resolutions. Victory over VK Kúpele Brusno 3:0 was dramatic just in 3.set. Fortunately, we were successful and won this set. Moment of truth came in match with Bilíkovova Bratislava, we wanted to confront the biggest favourite for the title. We more or less didn´t stand a chance against Bilíkova. In the match we failed to make serious resistance, we kept loosing the points in the whole game, just at the end of 2nd, resp. 3 rd set, we just slightly improved the result. In the match for the semifinals, we ran into tough Stropkov. In 1 st set they didn´t put us in the game almost. Fortunately, we managed to set a better ending. In next sets we dominate, even if the opponent did not give us anything for free. In the semifinal we faced the Slávia UK. We believed in ourselves. But the moment of truth came in 1 st set. We lost without even putting up a fight. In the 2nd set we tried harder, we even had a setball . We can say, this set should belong to us. Several mistakes of referee caused, that we lost this set. In 3rd set we didn´t offer serious resistance, Slávia advanced deservedly. In the bronze medal game we faced VA Žilina. The first two sets were clearly in our possession. But in the 3rd set, we lost the upper hand, we were losing by a large margin. Eventually we started playing better and we at least improved the result slightly. We started th 4th set on the right note. We set up quite a big advantage, which we were holding until the end of the set. At the end we were the luckier ones and we gained our first medal in history of MVK ! 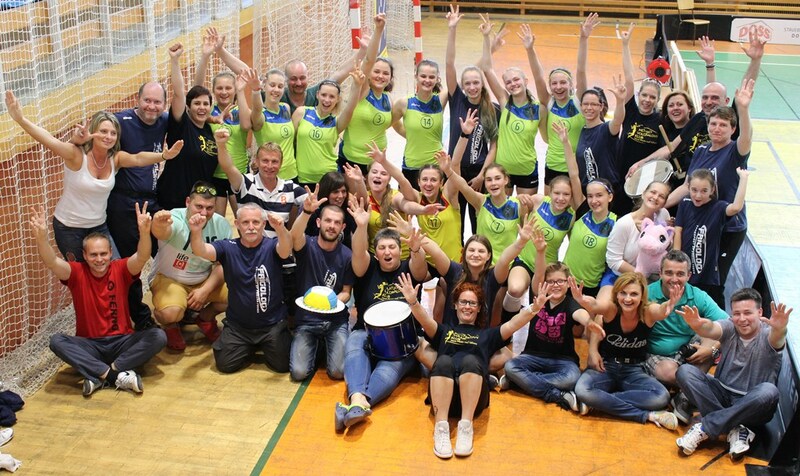 We are delighted that Martina Melicherová was elected Best hitter of the tournament and huge support by parents . Poďakovanie patrí usporiadateľom, opäť sme sa u vás cítili výborne. Veľké ďakujeme sponzorovi spoločnosti Frigolog, bez ktorej by sme naše ciele ťažko uskutočňovali. Taktiež trénerke Tlstovičovej, ktorá ukázala divevčatám, že profesionalita je nielen výsadou trénera, ale mala by byť aj výsadou hráčky. Určite za tie 2 týždne pomohla dievčatám v mnohých veciach. A na záver VEĽKÉ ĎAKUJEME Radke Paulechovej, ktorá odchádza definitívne na cyklistiku. Radka ďakujeme za roky, ktoré si u nás strávila, bola si výbornou volejbalistkou. Vždy keď tvoje srdiečko zasmúti za volejbalom, sme tu, radi Ťa uvidíme. A na záver vďaka všetkým ľuďom v MVK, bez vašej práce by nevznikol žiadny úspech.